HomeBlogTulsa Gastro NewsColon Cancer Awareness: Save Time. Save Money. Save Your Life. There is an old proverb that says, “An ounce of prevention is better than a pound of cure.” In the case of colon cancer, one of the top 3 deadliest cancers in the US, this statement is highly accurate. That’s because the colon cancer survival rate is 90 percent, if it is detected and treated early. However, a surprising number of people delay their screening colonoscopy, with many not booking one until they’re 57 – which is 7 years past the standard recommended age for a first-time screening. It’s essential to schedule a colonoscopy as recommended—and a colonoscopy is recommended for everyone at some point in their lives. Ninety percent of colon cancers are diagnosed in people over 50, but diagnoses in younger people are rising rapidly. If there are factors that put you at higher risk, such as a personal or family history of polys or colon cancer, African American ethnicity, or an inflammatory bowel disease, you will be advised to get your first screening earlier. A colonoscopy allows your gastroenterologist to screen for cancer and check your general colon health too. Most importantly, it also allows them to remove cancerous polyps and benign polyps before they can become malignant. 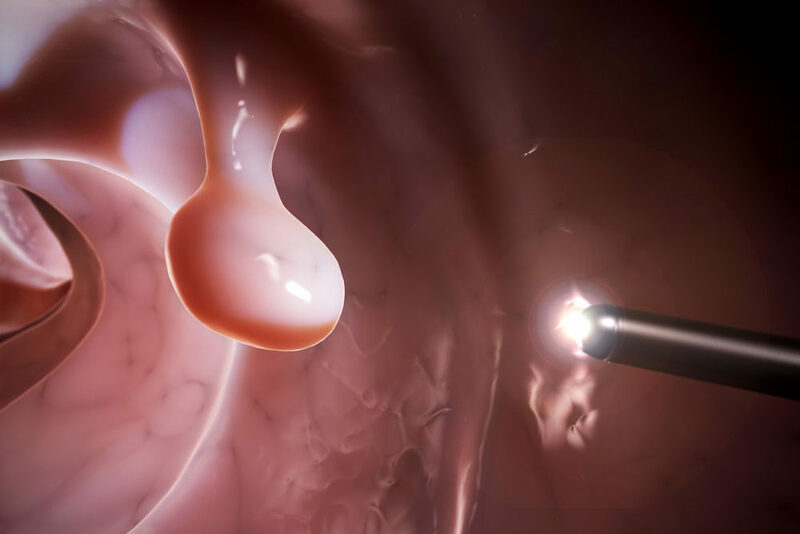 In this way, a colonoscopy can detect and prevent colon cancer. Why delay a potentially life-saving colonoscopy? If you’re delaying your colonoscopy, perhaps you’re worried about the time it will take. However, a standard colonoscopy takes just a few hours, leaving you free to get on with your day. You may also be worried about the price. Yet screening colonoscopies are covered by most insurance plans and if you book yours at an independent ambulatory surgery center, it may be far more affordable than you expect. Colonoscopies at these centers usually cost much less than those booked at hospitals and hospital-affiliated centers. convenience, with accessible curb-side parking and convenient drop-off and pickup areas. a range of payment options, with cash pricing and payment plans to suit your budget. expert and efficient colonoscopies that usually take just 2-3 hours, allowing you to get on with your day. The gastroenterologists of Tulsa Endoscopy Center are fellowship trained and board certified, and all have a high ADR (adenoma detection rate) well above the national standard. The ADR is the percentage of patients whose cancerous polyps were successfully identified and removed by the physician performing the colonoscopy. The medical support staff specialize in gastroenterology procedures and are highly experienced. You can be sure of the best care and a colonoscopy you can have confidence in. Remember, early detection of colon cancer is vital. A colonoscopy performed by a fellowship-trained gastroenterologist is the only way to get the thorough and accurate colon screening you need – and the preventive measures that could save your life.